(Businessweek): Shares of cruise operator Royal Caribbean Cruises Ltd. climbed Tuesday after a competitor reported better-than-expected results and said passengers were paying more to book vacations. 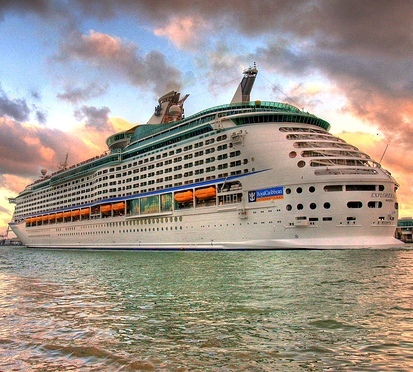 Shares of the company, which owns Royal Caribbean International, Celebrity Cruises and Pullmantur, rose $1.65, or 5.3 percent, to $33.08 in afternoon trading. Royal Caribbean rival Carnival Corp. on Tuesday said more travellers are booking cruise vacations and paying higher prices for their getaways. In the past nine weeks, reservations for the next nine months climbed 8 percent at Carnival. Meanwhile, the prices passengers paid for their cruise vacations climbed 17 percent. Additionally, Carnival said its first-quarter profit fell as fuel costs dragged down results. But its revenue grew and adjusted results were better than expectations.